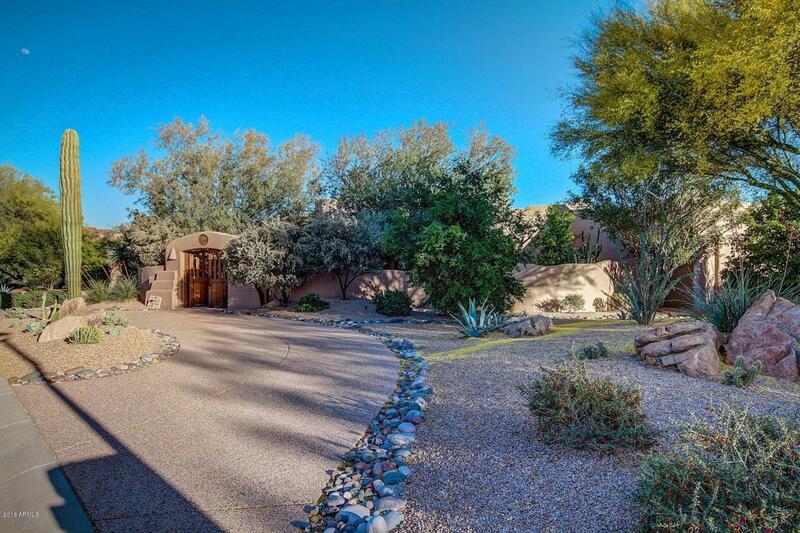 Enter a world of tranquil luxury thru the entry gate & private front courtyard. 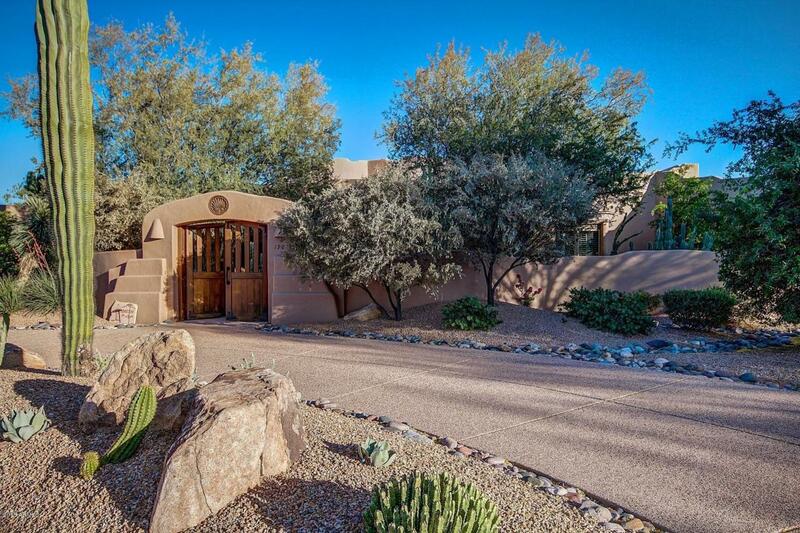 Carved wooden doors open to a unique and beautiful hacienda style home on a double lot in Tonto Verde. Backing to the 17th hole of the Ranch Course this 5169 sq.ft. home has 4 Bedrooms 4.5 Baths plus an office. Open floor plan with formal dining and built in buffet/wet bar, with wine refrigerator. Great room with fireplace and unique ceiling detail. 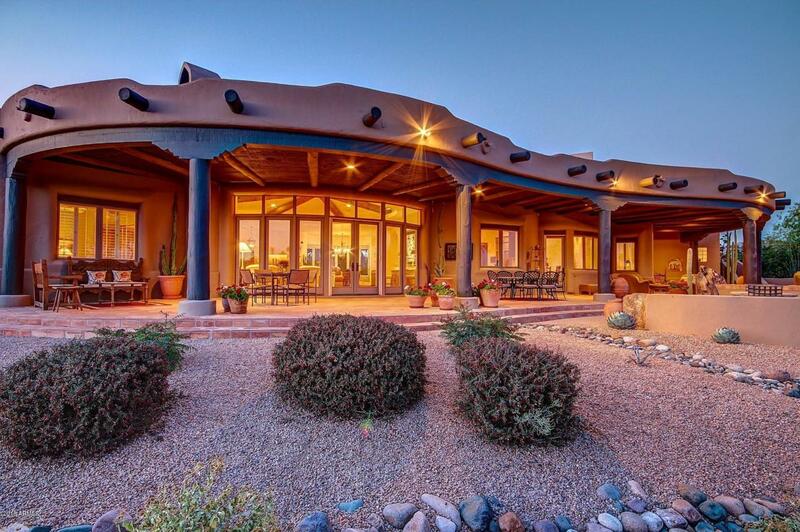 Breakfast room has Kiva style fireplace and opens to patio.Guest suite bedrooms all have full baths. Custom carved 8 ft Alder doors and cabinets throughout. 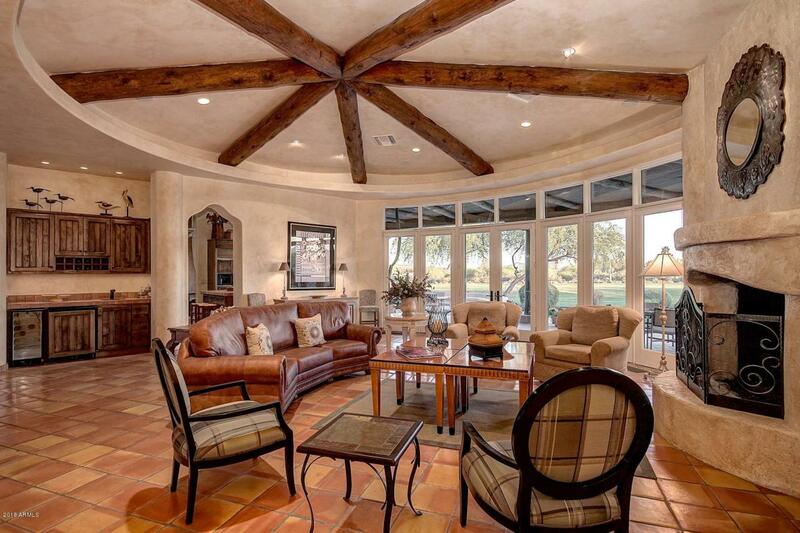 Saltillo tile throughout living areas, Master and exterior patios. Master BR with ceiling vigas, opens to patio. Enormous patio with multi levels and BBQ island bar.Stairway to rooftop viewing deck.